A few months ago the popular SDRTouch software for Android added support for the SDRplay RSP. The RSP is a $149 USD software defined radio with a tuning range of 100 kHz to 2 GHz and a 12 bit ADC. Over on YouTube user Mile Kokotov has uploaded a video showing the SDRplay RSP running in SDRTouch. He uses it to listen to the 14 MHz ham band in SSB mode and finds that reception is clear and that it is fairly easy to tune around. In order to use the RSP with an Android device you will need a fairly modern phone and a USB OTG cable. Ideally try to get a USB OTG cable with an external power port as the battery can drain quite fast when using the SDR. 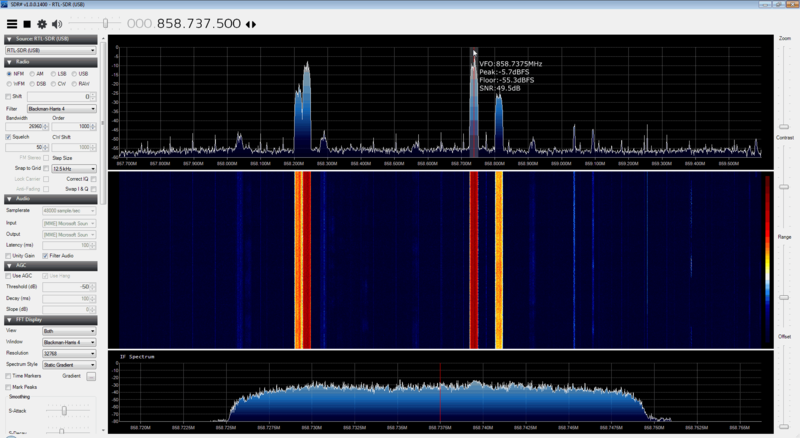 SDRTouch also supports the RTL-SDR. We note that some plugins may break with this update so be sure to make a backup if upgrading. Vasili, one of the most active SDR# plugin programmers has updated most of his plugins to work on this new version now. Revision 1400 of SDR# with SNR estimation.